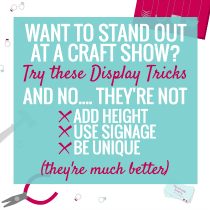 There are several factors that go into producing a good craft show so just because an organizer is lacking an element below, doesn’t mean that the show won’t be great. However if all areas are waving a giant, bright red flag, that may give you a good indication as to whether it will be worth your time and money or not. We can’t tell you how many amazing event organizers we’ve come across through Made Urban and their positive vibe is evident across the board; in their emails, their photos, their Facebook posts, etc. Organizers need to have rules in place to ensure vendors are committed and they don’t get stiffed at the end of the day, but if their terms have a negative vibe, seem outrageous and completely unaccommodating, it could be a sign of what’s to come. There is always a nice way to put things and you don’t want to deal with someone who is snippy or rude (even in written form) when they’re trying to make a customer out of you; how will they treat you once they have your money? In this day and age, you’re missing out if you don’t have your business online in some way. There are some events that are in a small enough town or have been around for years and have a huge following, that it makes spreading the word easy. But if you’re in a big city where a couple posters and word of mouth won’t cut it, a blog, website, Facebook Page, Twitter, etc. is extremely helpful. If none of those are in place (or they are but are a ghost town), be sure to inquire as to how they’re going to market the event. If they have a website or social media page, you should be able to find which vendors are participating. 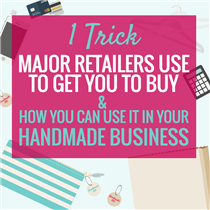 If the show isn’t juried or you’re seeing a lot of home based businesses, you may end up competing with mass produced products or several other vendors selling items under the same category as you. Juried events mean that the organizers take applications, review them and accept vendors that fit their theme, spacing and diversity. Without this process, they may be missing the vendor variety needed for an interesting show. Organizers need to be passionate about what they’re selling and you, your products and your brand are a part of that. If they aren’t enthusiastic about what you do and excited that you’re thinking about applying, have applied or are accepted to the show, it may be reflected in their marketing. They should be boasting about the vendors that are going to be attending and if they’re not excited, how are they going to get shoppers excited about attending? There are bound to be vendors who aren’t happy with a show due to low sales, but that doesn’t mean it’s the organizers fault. Their products may not have been a fit for the show, their price point may have been too high for the demographic, their attitude may have been poor, etc. One or two unhappy vendors don’t define whether a craft show is good or not. Multiple vendors all having the same complaints is a pretty clear sign that something was off. Craft shows and events take a lot of planning and organization to be successful, making the organizers busy people. Don’t expect a response within the hour but if you’re constantly having to follow up to get an application form, an email answered or they’re oblivious as to who you are each time you are in contact, put some more thought into whether this is the right show for you. These are things that are a part of their job so if they’re not getting those areas right, there may be other areas that are slipping through the cracks too. If you’re chatting with them before making your decision and they’re unwilling to divulge any details, it may be a sign they don’t have many for you. As long as you’re not asking for sensitive information or company secrets, they should be able to tell you basic information that will help you make a decision. 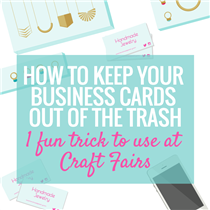 Here’s a good list of questions to ask an organizer before committing to a craft show. Businesses don’t want to give away too much inside information but if you’re deciding whether or not you want to spend your money on a booth, they should be able to give you some general info. Planning to hold an event on the same weekend as another big event can cause a conflict. Sometimes that can work in the event’s favor by piggybacking off of their crowds or working with the other organizer to cross promote. But if the event you’re thinking of applying to is on the same weekend as a city festival and in the other direction, it may have low attendance. Location of the event should also be taken into consideration. Look for plenty of; free parking, foot traffic, visibility and easy directions. Venues that require a drive out of the city, expensive parking fees or are hard to find may deter some shoppers from visiting (especially if bad weather compounds on top of that). New events can be great but generally when someone is organizing their first show, they start small and keep fees low since they have a bit of a learning curve ahead of them. If you don’t know the organizer from the craft scene, you can’t find any previous events they’ve organized and they’re going big in terms of venue, vendors and fees; you may want to see how their first event goes before diving in. It could turn out to be a great event despite these facts but do your homework on them to be sure they know how to put on a good show, despite never doing it before. 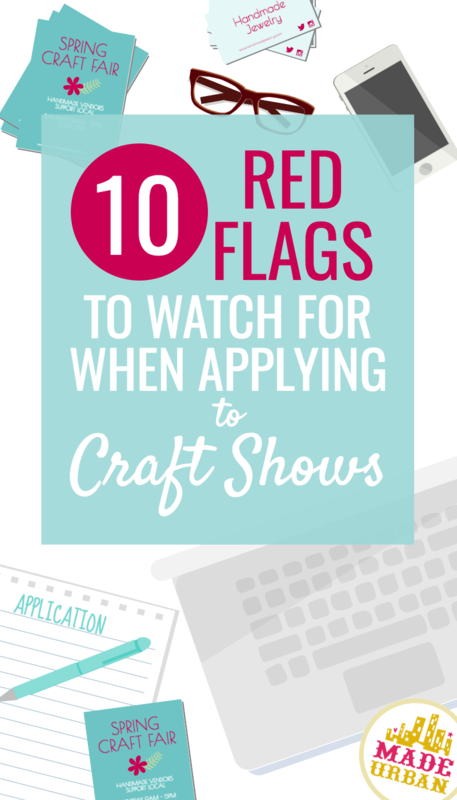 If they’re telling you it’s going to be a unique, modern, edgy craft show but their logo and posters say otherwise, they may know what they want to deliver but are unsure how to do it. You should get a good feel for the type of show it will be from their logo alone. If you’re getting an opposite vibe of what they say they’re delivering, chances are shoppers will too which is going to affect the type of crowd it attracts. If you’re looking for more hints on what to watch for and the essentials to look for when considering events to join, check out our e-book: MAKE MORE MONEY AT CRAFT FAIRS. It will help you avoid the events that aren’t right for your business and ensure you submit a killer application so you’re sure you get into the ones you choose (even if your brand isn’t a perfect fit). DOWNLOAD A SAMPLE CHAPTER. Having organized many, many craft fairs and other events, I just wanted to say that the event is not just the organizers…it’s yours too.You have a responsibility to promote the event. Post it on your website,provide a link, give out promotional flyers everywhere you go.Talk about it at any networking meetings and ask people how else you can make sure people know about it. Make up your own invitation with you as the headliner.Put a draw coupon on the bottom of this invitation specifically for your booth. Do you have connections with the media?USE THOSE CONNECTIONS. Please make sure the organizer knows so they don’t bother the media twice. Turn up on time for setup.This is professional and shows respect. I can’t seem to sign up (it keeps telling me that email Addy or name is wrong?). I alook want to order the book about making more money at craft fairs, but it’s not letting me do that either. Can you help? Hi Gwen! Sorry about the issues you’ve ran into, we can definitely help get you set up. Could you please email me at info@madeurban.com so I can ask a few questions and send you some details?